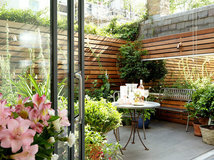 In a small garden, it can be tempting to keep everything scaled down, from plants to plant pots. 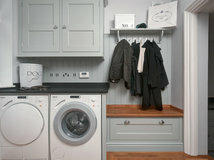 But, as with interiors, this approach can be counterproductive, serving only to make a small space feel cramped and cluttered. 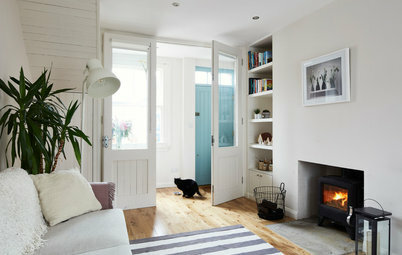 Try going large instead and invest in one or two striking pieces that will create a statement. 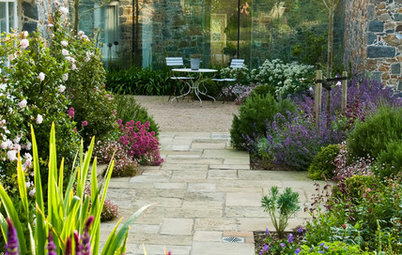 Be inspired by these examples of small gardens with big styling. Now this is a statement plant pot! 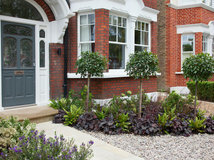 Taking centre stage in this neat little front garden, the power of this design lies in its simplicity. 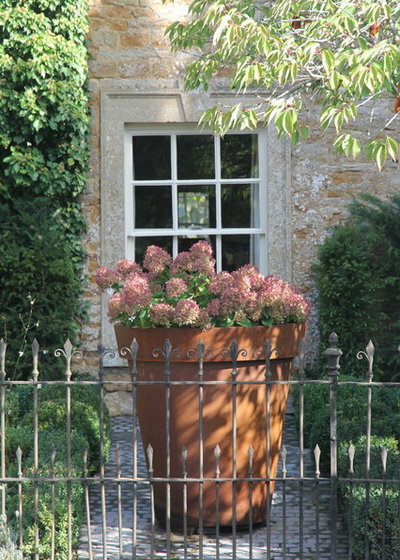 The garden designers have chosen to use just one giant terracotta plant pot filled with colourful hydrangeas. It creates a light-hearted and eye-catching display that will require minimum maintenance while offering maximum impact. The effect of this simple design feature is undeniable. Just imagine this little courtyard without it; a cluster of small plant pots wouldn’t have anywhere near the same impact or presence. 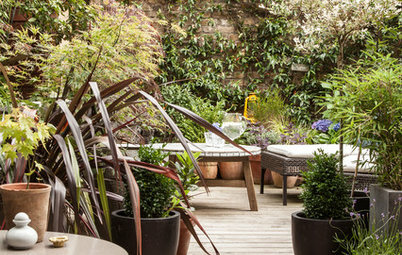 Going large with plant pots can also introduce much-needed height to a small space, drawing the eye up and allowing for different layers of planting. 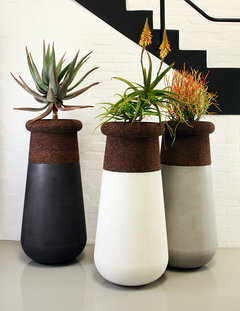 A row of three tall pots, as shown here, lifts the planting off the ground and raises it to window height, creating a window-box effect. 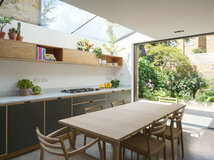 As long as care is taken to ensure the planting doesn’t grow too high and impede the view, this is a smart way to create a lovely leafy frame to peek through and enjoy from inside the house. 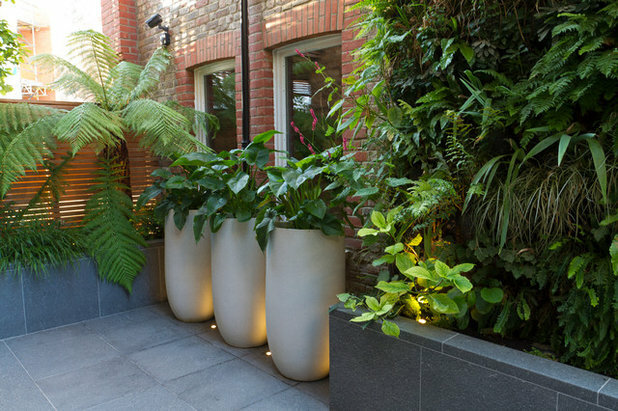 If you have a small paved courtyard with limited planting space, it’s perfectly possible to create your ‘garden’ in a series of large plant pots instead, as demonstrated here. 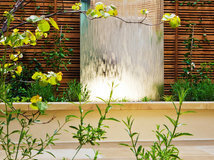 Choose a small tree as your centrepiece, then underplant it with mini shrubs or annuals to create a lush, full effect. Citrus trees, as here, are wonderful in warm or sheltered gardens, but a dwarf apple or pear ‘patio’ tree would be other lovely options, providing both blossom and fruit at different times of the year. 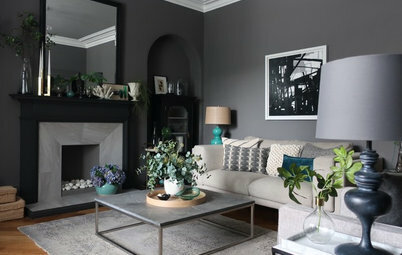 An oversized planter will make a design statement, so don’t shy away from bold colour if that suits your personal style. 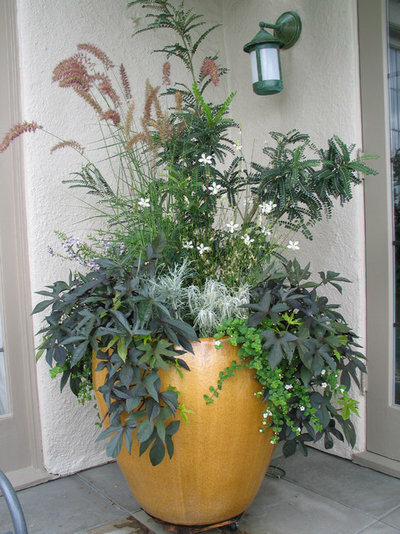 Here, a sunshine yellow glazed plant pot is the perfect way to welcome visitors at the front of the house, and the exuberant planting, with layers of texture and colour, perfectly suits the colour of the pot. 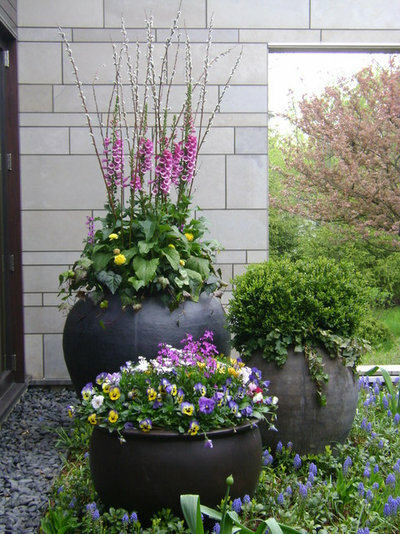 If you’re not sure which way to go with the colour and shape of your planter, consider the interior of your home and extend this style outdoors. The rules of home styling apply just as much outdoors as they do indoors, so try grouping planters in threes for a visually pleasing arrangement. 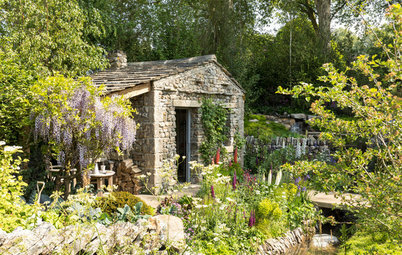 Here, a mix of heights and shapes allows for different levels of planting, which lead the eye upwards in a series of ‘steps’. 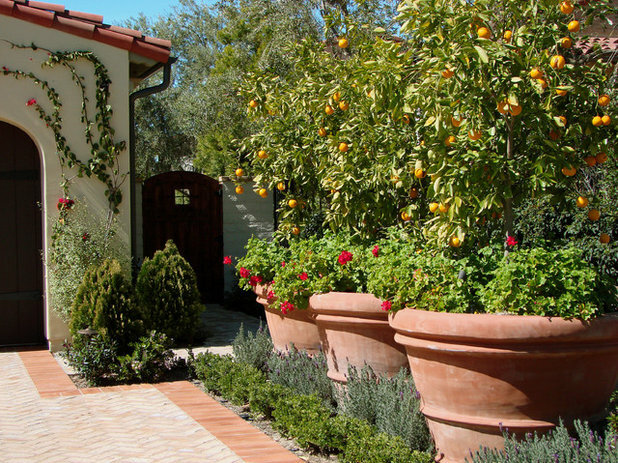 It’s a much more cohesive and restful arrangement to look at than a large cluster of smaller, floor-level pots. 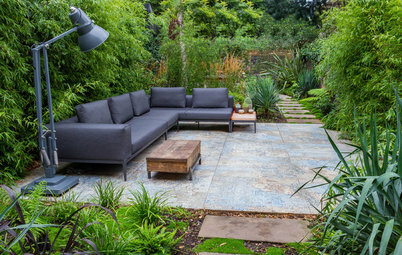 What do you think of these small garden design ideas? Share your thoughts in the Comments section. 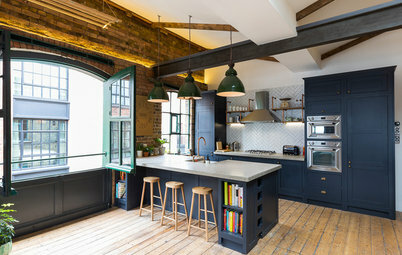 Over the moon to have won a Houzz Badge 2019 for Service this week! 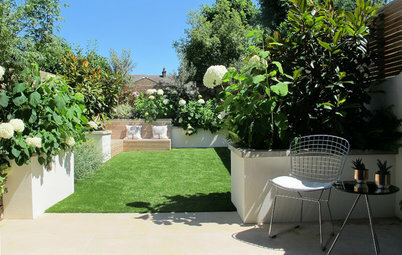 So pleased that my clients feel that I deliver a professional, high end garden design service to them! Many thanks. Beautiful winter interest bed in one of my client's gardens last week - and who says winter in the garden can't be interesting! Strong evergreen structure, with star turn by Cornus alba sibirica. 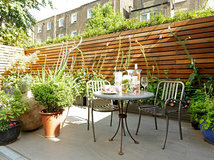 Most Popular Should I Paint My Garden Fence Black?